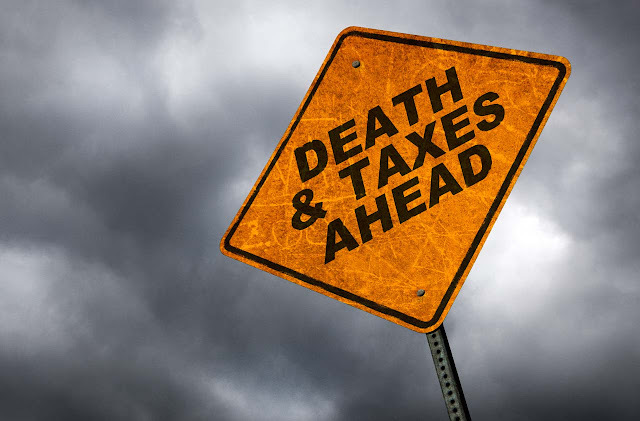 There are only two certainties in life… Death and taxes. Each on its own is bad enough but combined that can cause you a headache, even after you've left your head and the rest of your body behind. When you’re gone you want to ensure that your family will be provided for financially. After all, they’ll already have a lot to contend with both emotionally and logistically. Therefore, many are interested in financial solutions to enable them to secure as much of their legacy as possible for their families, while still keeping their finances legitimate and above board. Whatever your age and income, this is something that you need to consider or your loved ones will pick up the tab. Here are some helpful solutions to ensuring that you can live your life with the peace of mind of knowing that their interests are protected. You’re never the wrong age to make a will. While it may seem morbid, there’s no better way of ensuring that your assets are distributed on your own terms. It’s not only the way to decide who gets your stuff (and your money) after you die, but also who takes care of your children, who gets to be the executor of your estate and even who looks after your pets after you’re gone. Not only is your home asset that needs to be carefully managed after you’re gone to limit the tax loss incurred by your family, but you may want to look into your home state’s death tax rates as these can vary wildly. If you were to move in your later years to avoid death taxes then you certainly wouldn’t be the first… People don’t just move to Florida because they love Disneyland! The family home itself can also be sheltered from state tax loss by your partner after you’re gone by way of a Disclaimer Trust or Credit Shelter Trust. This enables surviving spouses to shelter their the value of the estate to the tune of your state’s tax exemption quota. The rest can then be put into a QTIP Trust thereby avoiding both state and federal taxes in a legally sound manner. It’s the oldest game in the book, but one that a great many still use to ensure the financial protection of their families. You also have the added bonus of being there to see your family benefit from the monetary security. As well as your overall $5 million lifetime gift allowance, as a taxpayer you are able to an unlimited number of individuals up to $14,000 a year each without having to pay any gift tax. When it comes to life insurance the type of policy you have is equal in importance to actually having any. Make sure that you do your homework and discern the best kind of policy to suit your age, your health, your employment and your circumstances. Don’t buy a whole life insurance policy unless you know exactly what you’re getting into. If you have each of those four bases covered then your family’s financial well being will take care of itself!